Purple Hats – Dealing with a crying baby can be stressful. It’s important for parents to understand that babies go through a Period of PURPLE Crying, when a baby’s crying intensifies and he/she may seem inconsolable. To support this effort, you are invited to make purple caps for babies. Donated purple caps will go home with parents after the birth of their baby to raise awareness about shaken baby syndrome prevention. Collaborative Prayer Shawls - Add a few rows of knit or crochet a on the shawl starts (available in the Narthex) during worship, coffee hour, or church meetings . Use a pattern of your own or choose a pattern sheet included with the supplies – they don’t have to match. Thank you to Jeannie Rogers and Audrey Yoder for designing this project. Smyrna's Memory Cafe, first Friday of each month. Please RSVP by the prior Wednesday, to let us know if you are able to attend. Save the Date! Northwest Region Women's Retreat, Nov. 1-3, 2019. Theme: Wade in the Water. Keynote Speaker: Linda Allen, Songwriter. Workshop opportunities and registration information will be available soon. 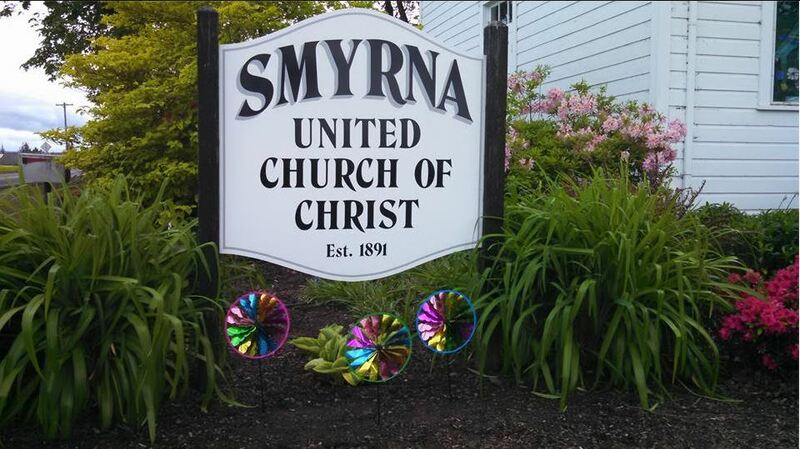 2016 marked the 125th year of Smyrna United Church of Christ. 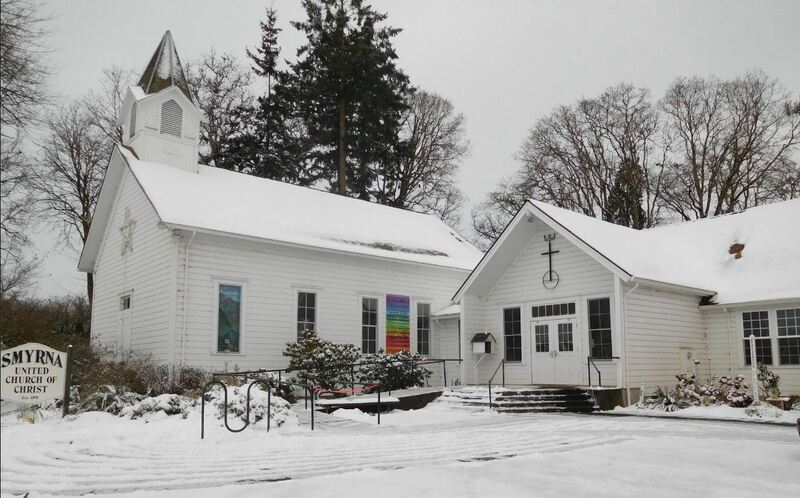 In January of 1891, ground was broken to build a church midway between the settlements of Needy and Yoder, Oregon, in the heavily timbered rural land in the Willamette Valley. 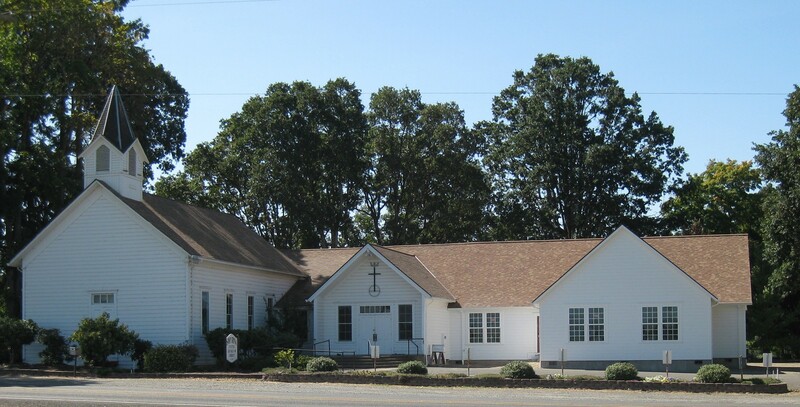 The first service in the roughed-in building was held in April 1891. We are an open and affirming church that is dedicated to serving others and serving God. This is the core of our vision and our mission. Our devotional ministries and year-round but are especially rich during Easter and Christmas. We are very proud of our music ministry which includes an adult choir, bell choir, special music. A youth choir is planned. Smyrna set up programs to improve mind and body. Everyone is invited. 2017 Health Survey: Please print, fill-out and return. If you are looking for an established, progressive church that is welcoming, open and affirming to all, then you may just have found the place you have been looking for! 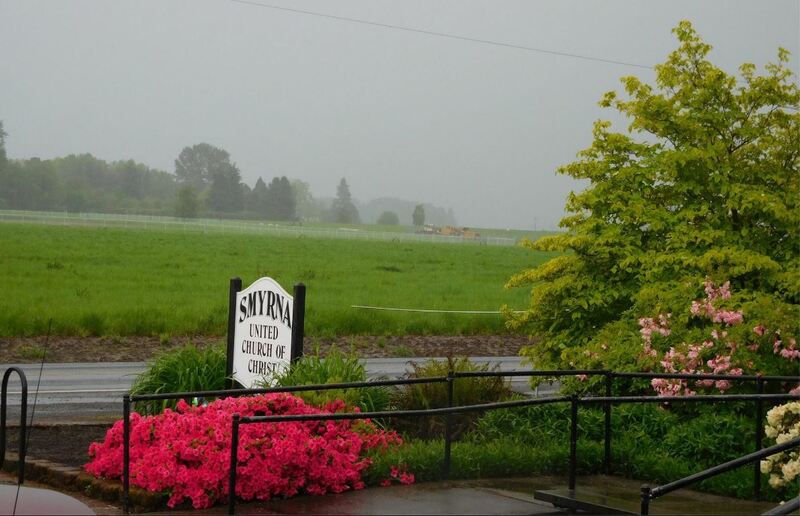 Smyrna United Church of Christ was founded over 125 years ago, and is located in a beautiful, peaceful part of the mid-Willamette Valley. As part of the UCC, our congregation participates in a faith tradition that values spiritual development, life-long learning and critical inquiry, and the embrace of values that promote the well-being of body, mind, spirit, community, and creation. If you are looking for a faith home in which to worship, pray, think, question, and do so with others who believe that “God is still speaking,” then come and join us! Click here to see current and back issues of the Behold! The Art Night was introduced in June of 2016 by Heather Anderson. We assembled a team of Smyrna artists, and, based on interest, we made is a regular monthly event. A church tradition for many years. Local strawberries are featured and our community socializes for this annual fund raiser. This year is it took place Saturday, June 17, 2017. We served a light supper, pie, cake, Ice cream and… Strawberries Strawberries Strawberries! Smyrna's Vacation Bible School has taken the form of a Peace Camp. This year, Peace Camp took place August 7-10, 2018 for all students Grades K-6, with middle school students as helpers. Adults participated, too!